President Rouhani described cooperation and empathy among all branches in solving people’s problems essential and said: “Our economic condition is better than world’s mean but this does not mean that all problems have been solved”. Iranian officials have so far confirmed the deaths of six people and injuries of several others during the recent protest rallies and riots across the country. The state TV has also declared the deaths of six others. Iranian President Hassan Rouhani lashed out at his US counterpart for commenting on the recent protests in Iran, saying the man who already called the Iranian people terrorists, as well as certain Arab regimes working against Iran, have no right to sympathize with the nation. The Islamic Revolution Guards Corps (IRGC) forces rescued an Iranian engineer who had been kidnapped at an eastern border area in Iran and held hostage inside Afghanistan for ten days, a commander announced. 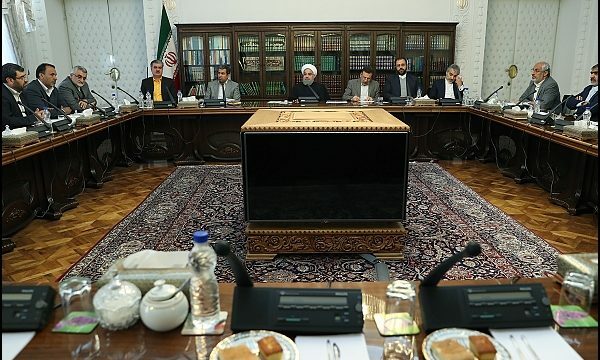 In a tweet on December 31, Iran’s Secretary of the Expediency Council condemned US meddlesome policy in the Iran’s internal affairs warning that the interference will not remain unanswered. Following the recent earthquake in Tehran, some real estate agencies in the Iranian capital are boasting of offering houses that are resistant to magnitude-9 quakes. Deputy Roads Minister Fakhrieh Kashan said manufacturing companies have already funded a number of airplanes purchased by Iran’s flag-carrier airliner Iran Air in the post-JCPOA era. Due to its access to the Persian Gulf, Iran can act as an appropriate corridor to connect Kazakhstan to Arab countries, Pakistan and India, a Central Asia expert said. Director General of the International Atomic Energy Agency (IAEA) Yukiya Amano considered 2017 as the year of cooperation between Iran and the IAEA and has repeatedly confirmed Iran compliance with the 2015 Nuclear Deal. Deputy Chief of Staff and Spokesman of Iran’s Armed Forces Brigadier General Massoud Jazzayeri lashed out at US President Donald Trump for his support for protests in Iran, warning of Washington’s new plots.